If you’re new to the desert, there are a lot of things to get used to. But for many homeowners, one of the biggest challenges is the shift from municipal sewers to on-site septic tanks. Most homes, as well as many businesses, in the Hesperia area, rely on septic tanks for waste disposal. This means there’s a periodic need for septic tanks cleaning in Hesperia. It’s vital that a septic tank is cleaned every 3-5 years, or whenever it becomes full, so finding the right company to handle your needs is essential. How much experience does the company have in working with septic tanks? Plenty of plumbers will say they can work on tanks, but that’s different from actual hands-on experience. When dealing with waste material that can be hazardous, you need a company with years of dealing with its disposal under their belt. Proper septic tank cleaning requires a lot of specialized equipment, such as a storage tanker and pumping mechanisms to efficiently drain your tank. So you want a company that owns their own hardware, rather than outsourcing or subcontracting it. That way you know they can guarantee the proper procedures are followed at every step. Septic tank cleaning isn’t a terribly time-intensive task, but it will generally take a couple of hours, requiring at least one property owner to be present. Scheduling can be particularly important to businesses since the pumping can be somewhat disruptive if it’s in public view. Your septic tank servicing company should be willing to work around your schedule or do it on weekends. Along with cleaning expertise, you also want specialists who can identify and fix any septic and plumbing problems they see on the spot. 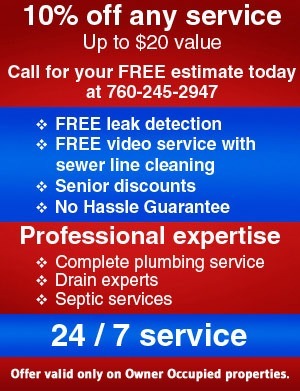 You’ll save a lot of money if you can get everything done in one service call. 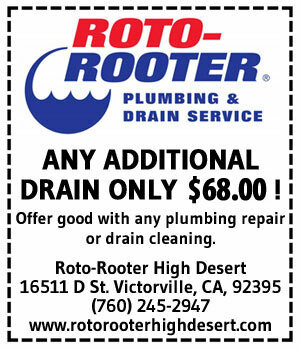 Call Roto-Rooter High Desert for your septic needs in Hesperia! For affordable and professional septic tanks cleaning in Hesperia, call in the true professionals at Roto-Rooter High Desert!